If you want to get rid of the numerous useless objects in your garage or shed do it quickly and efficiently by hiring a trusted Barnsbury house clearance company. 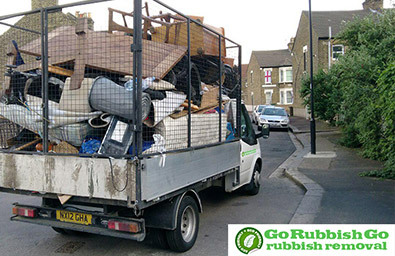 Hire us – Go Rubbish Go, because we deliver the best house clearance in N1 and N7 areas and our crew will get the job done quickly and efficiently. We use special equipment and vehicles to collect all the rubbish that you want to dispose of in Barnsbury, as well as care for the environment and your budget. Talk to an expert from our team on 020 8610 9182 now to find out more! Our Barnsbury house clearance services fit in every budget, because they are the cheapest services in the N1 area. With our low prices comes high quality, which may look strange to you, but only until you see our men’s attention to detail. 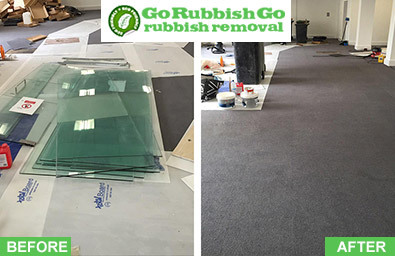 They are a meticulous team of experts that can handle removing the biggest rubbish and scrap objects, and yet do it very quickly. Also, we offer the best and biggest discounts for our local clients in Barnsbury, which is a major factor that lowers your house clearance n1 costs. Last but not least, we save you money! Imagine doing everything by yourself and spending money for bags, boxes, tools and many more – with us on your side, you can avoid all that. What makes our team the best in the Barnsbury area is a mix of professionalism and experience. Often, the piles of rubbish and useless objects that you have been hoarding for years are so large that sunlight cannot penetrate in the room easily. With our professional house clearance N1 crew, there is no need to worry! They will take care of every junk and scrap object in that room in the quickest and most efficient manner possible. You may not know where to start decluttering from, but our house clearance team knows. With our awesome N1 house clearance services comes another awesome privilege – immediate response and fast action. 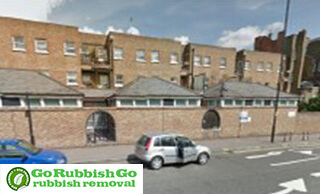 Contact us today on 020 8610 9182 and we will do our best to help you get rid of the rubbish by the end of the day. If you need an emergency house clearance Barnsbury carried out, we could act within only a couple of hours. So, don’t worry if you need to prepare your garage in N7 for a new car, the attic or another room for guests. Just call 020 8610 9182! It’s enough to tell us your requirements and what you expect from our crew and we will arrive at your place in Barnsbury as soon as possible. Our complete list of Barnsbury house clearance services is always at your disposal. It is quite a long list so if you have doubts about some of our main or additional services contact us on 020 8610 9182 right away. Clearing out attics, garages, lofts, basements or even collecting scrap metal are only part of our N1 house clearance services. However, the greatest benefit you get is that our staff members are all professionals who are not afraid of dark cellars, spider webs, steep stairs or narrow doors. They will assess and handle every situation professionally. What Else Does Our House Clearance Experience Bring to Your N1 House? It is that experience that helps our crew to offer the most efficient house clearance in Barnsbury and the best value for your money. It may include de-cluttering and sorting of rubbish in piles by different criteria. Or else, it may include collection of the rubbish with a big and specialized pick-up vehicle, or hiring a small skip. Disposal to a recycling centre is another way to reduce the amount of the rubbish in your N7 home. A professional assessment is definitely needed for the specific situation, but in all cases Go Rubbish Go will take care of the environment in the busy Central London too while still carrying out the perfect N1 house clearance. This North London area in the borough of Islington is pretty busy, but green nooks can be found everywhere in Barnsbury. For example, enjoy a relaxing walk in Thornhill Square or in the nearby Bernard Park, Thornhill Road Garden or Lonsdale Square Garden. A number of bars, cafes and pubs dot the Caledonian Road, which is within a short walking distance. The London Canal Museum, the Kings Place and the British Library in the neighbouring King’s Cross area are other places to explore, if you prefer history and culture, and the great local transportation links offer you to do all this in a day. Not to mention that Regent’s Park is just at a stone’s throw away and is filled with attractions.